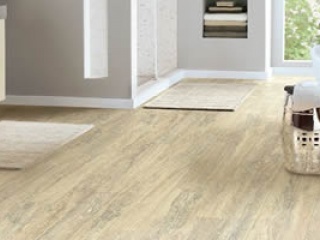 Vinyl sheet flooring remains one of the most popular flooring categories. 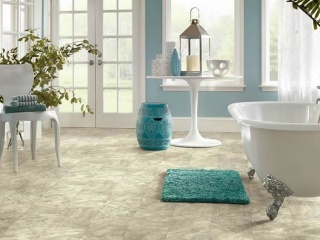 Today's vinyl sheet floorcoverings are more beautiful than ever. 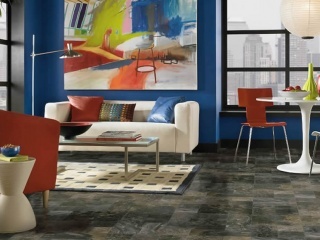 Sheet vinyl is available in a wide range of looks; it’s durable and easy to clean. 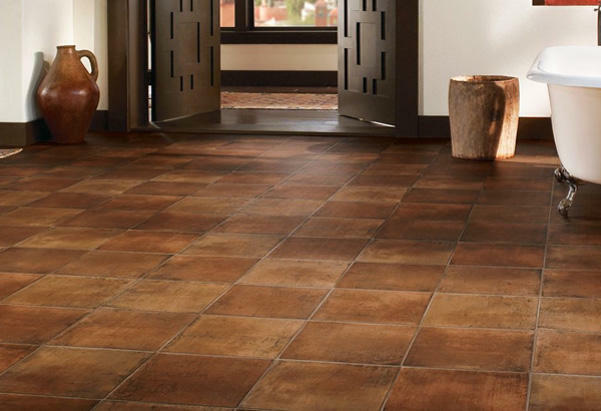 Realistic portrayals of natural stone, tile and wood are constructed to be warm and cushioned underfoot. 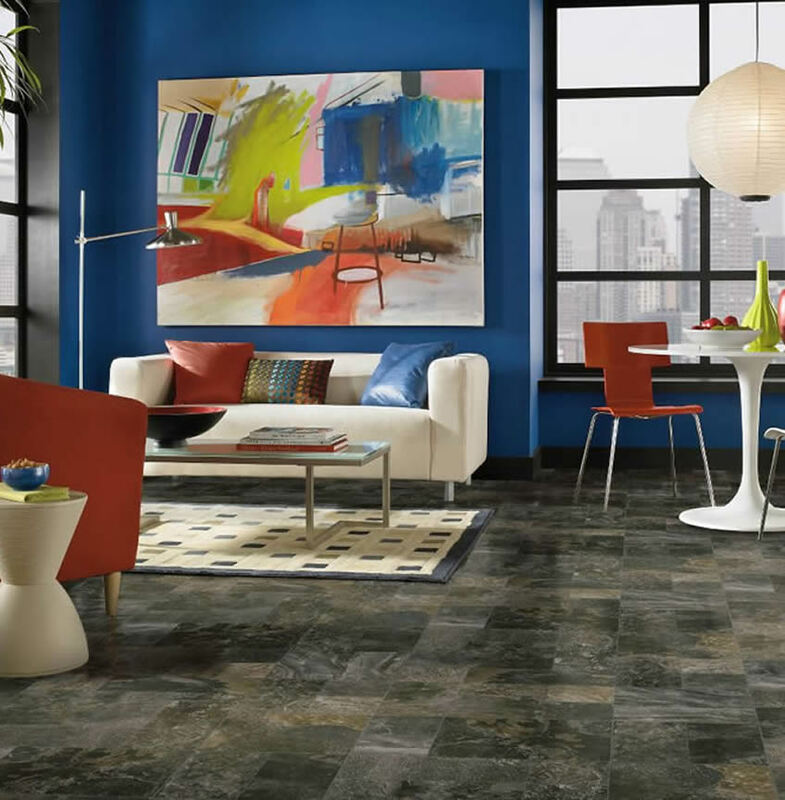 Stylish patterns and tempting textures are meticulously crafted to endure high traffic and provide for easy care and cleanup. 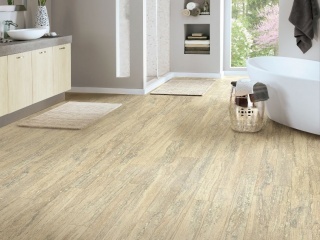 Vinyl sheet flooring also comes in either 6’ or 12’ rolls, which means you won’t have seams where you don’t want them. 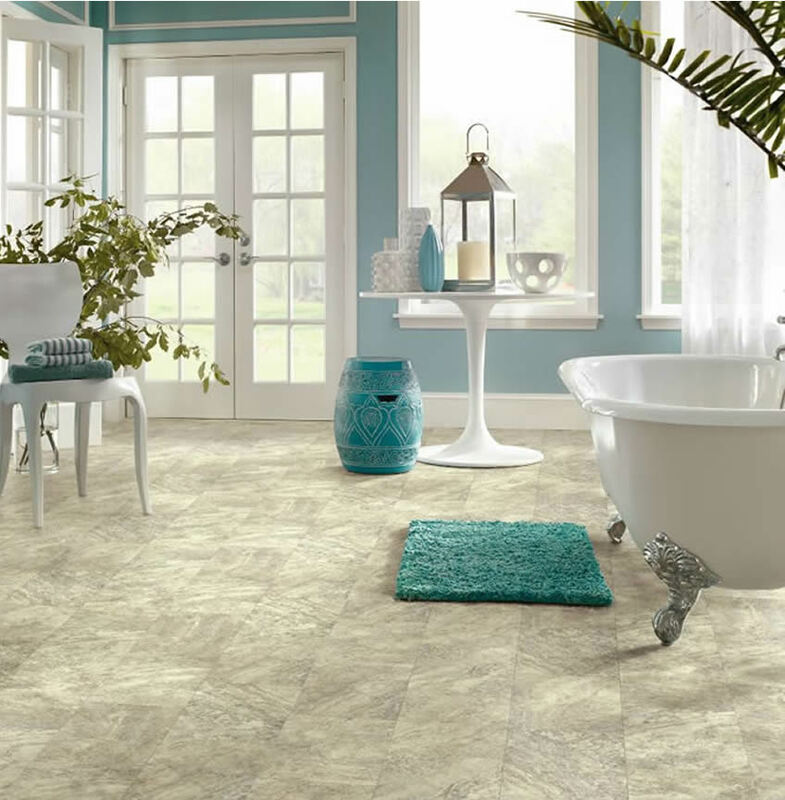 Be sure to explore an abundant collection of vinyl sheets at your local flooring supplier, Great American Floors. 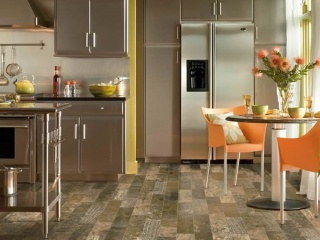 Vinyl sheet floors are tough and durable. You won’t have to worry about pet nails or dropped toys on these floors! All of our vinyl sheet products come with the toughest wear layers available. That means under normal household use, our vinyl sheet floors won’t rip, tear, or gouge. Guaranteed. 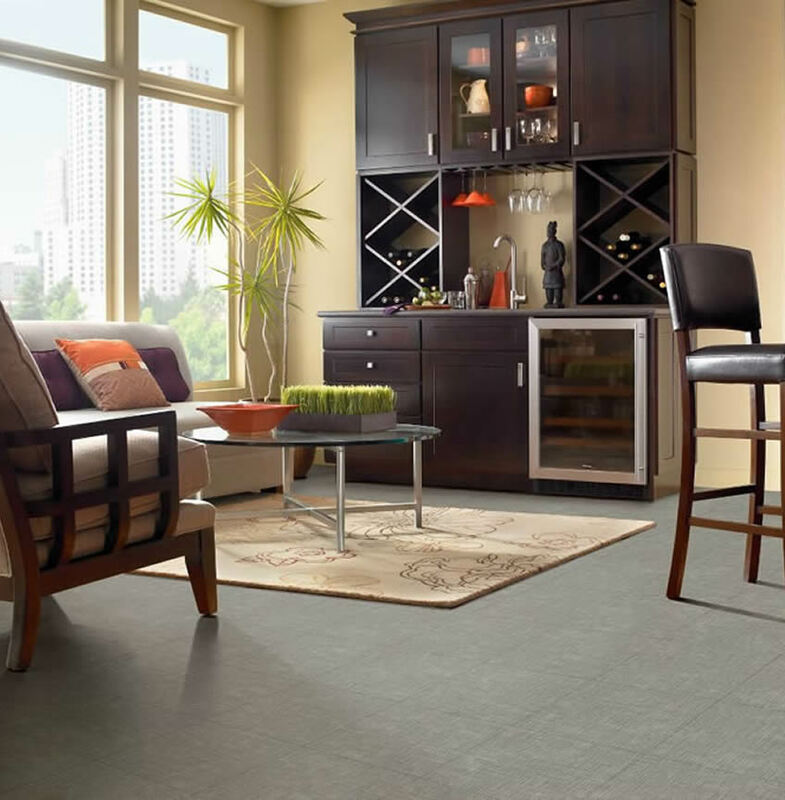 Vinyl flooring can be installed over almost any existing floor. 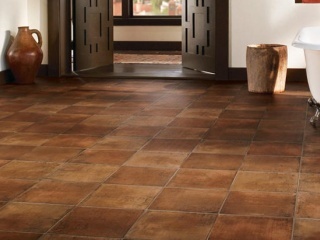 The key is the existing floor must be flat, smooth, and dry. 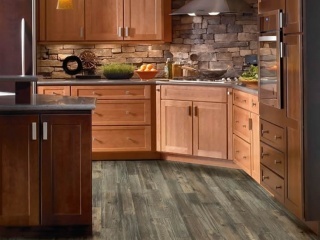 Installation options vary based upon the vinyl sheet flooring you select. 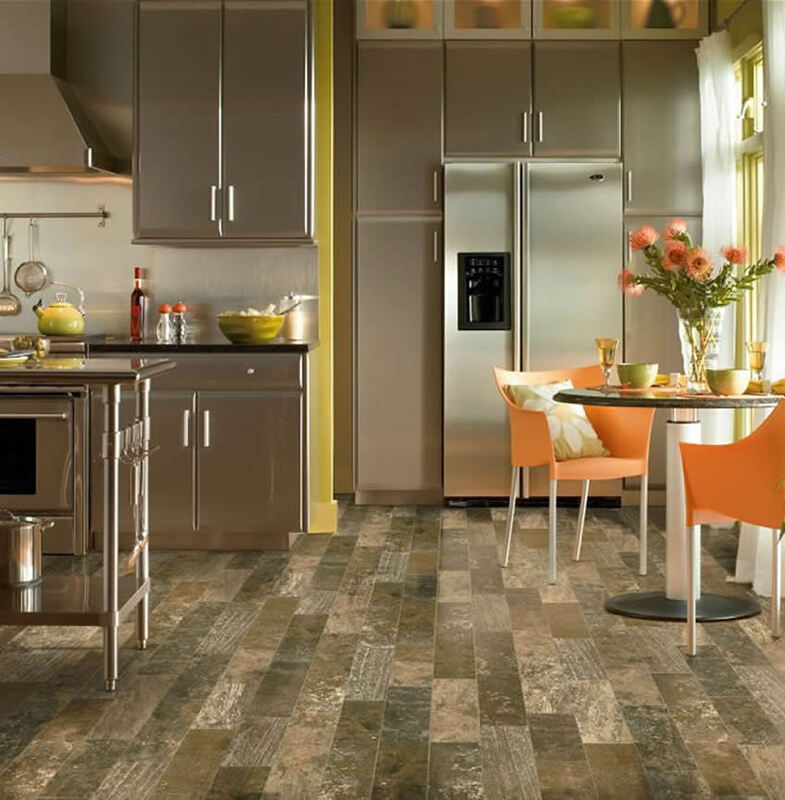 Your local Great American Floors store can help in finding the perfect match for you and your home. 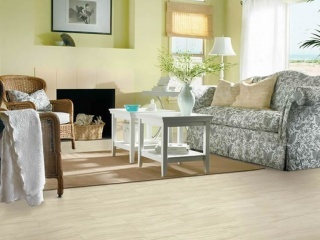 In addition to refreshing, natural looks, vinyl sheet flooring is easy to keep clean. 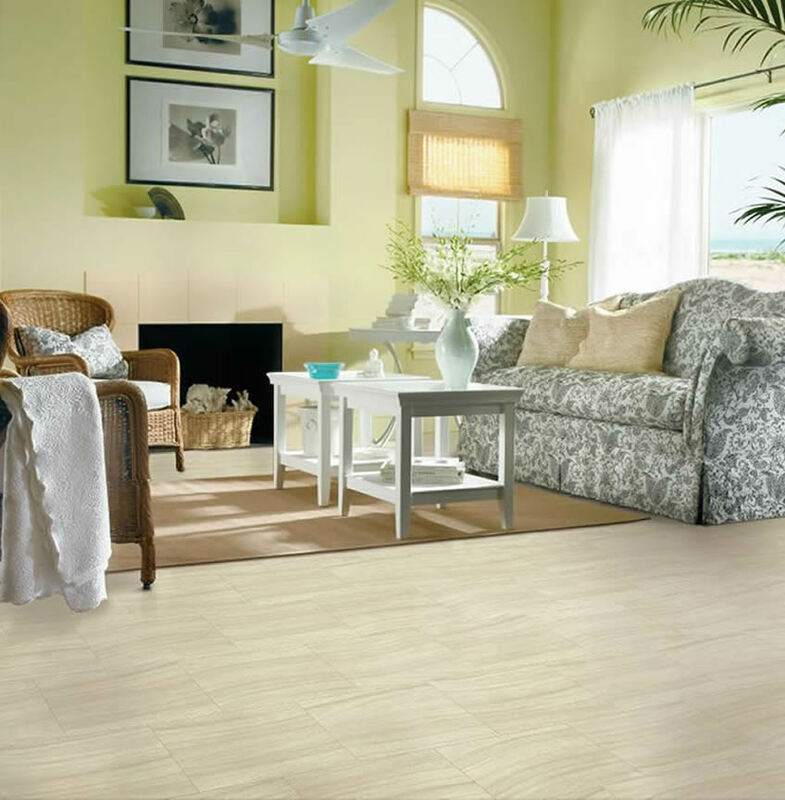 Many of our vinyl floors have a wear layer that protects floors from stains, spills, scratches, and scuffs. 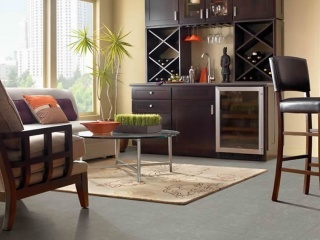 All you need to do is sweep regularly as needed with the appropriate floor cleaner.